Powerful principles to become a better leader form the basis for this course. Whether you are beginning your leadership career or in need of a tune-up, leadership expert Ron Price will provide you with strategic principles to guide you to get the best out of yourself and your team. This course begins with an examination of the three dimensions of leadership. 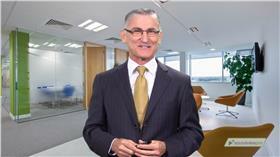 Ron Price will provide you with insight into positional, expert and inspirational leadership. You’ll be asked to examine the examples of leadership from your own life and learn how to be the best possible version of you as a leader. In class two Price instructs you on the five components of great management. While there is considerable debate about the differences between leadership and management, it is essential to know the finer points of each skill. You will master everything from setting clear expectations to providing timely and accurate feedback. Class three turns the focus on making yourself a complete leader. While the instructor points out that no leader is a complete leader, the pursuit of this goal is what sustains you through the leadership journey. You will learn about the definitive skills for thinking, achieving and connecting that will help shape your leadership. This class also features an in-depth look at leadership authenticity, a hot topic in today’s market. From the discussion of authenticity, a natural bridge is built to the fourth and final class on leadership nobility. Price will provide you with a leadership code of ethics that you can use to help you steer a steady course toward top-level success. The three dimensions of leadership and how to identify the best version of your leadership style. How to ensure that the right person is doing the right job in your organization. Why it’s essential to provide timely and accurate feedback. The critical thinking skills you need to become a complete leader. Why authenticity is essential for leadership in today’s market. A code of ethics for leading in the era of transparent leadership. Section 4 What is the Best Version of You?